This new cool superhero movie will blow your mind because it features all the famous actors in spandex unitards that you enjoyed watching in other superhero movies. nother superhero movie trailer dropped yesterday and the world is just having the best time ever. This time the movie features all the superheroes you know and love; plus the few that you don’t love (but will grow to, by the end of the film); and that one cool guy from the comic book only your best friend and you and remember because you were the weird kids in school. This superhero movie promises to be even more epic than the previous superhero movie, which was epic in its own right, when compared to the other 12 superhero movies that preceded it. This new cool movie will completely blow your mind because it features all those famous actors in spandex unitards that you enjoyed watching in other superhero movies, delivering the very same expressions, in the very same storyline. The flow of the movie, sources say, will be unlike any of the other 10 that released this year, and will be more unique than the 10 superhero movies that will be made in the following year. Take for instance, that one scene where the good guys start fighting among themselves, only to learn that elementary lesson from countless school assemblies, “United we stand, divided we fall”. Expect a ridonk number of moral science lessons along these lines, as you navigate your way through the intricacies of seeing the world in three dimensions for over two hours. Wonder Gal, Bat Guy, and Fast Dude can step aside this time, because in this new shocking trailer, which the whole world typically saw fifteen minutes after it released, it’s all about the saviours of the Marvel universe. Expect to see all Marvel comic-book characters come together to fight the menace of whichever super villains was picked this time around, culminating in a family reunion that will bring tears to your eyes and serve as the launchpad for the next 50 superhero movies. Take time to watch all of those movies, in between various episodes of shows about completely different superheroes on Netflix. The soundtrack of this superhero trailer is miles ahead of the previous trailers in the way it matches booming sounds with the visuals of Thor wielding a hammer. Never before, since the release of that other Thor movie earlier this year, have we seen such unique scenes. In addition to this, the new movie also features a Spiderman who was last seen in Spiderman, Spiderman 2, Spiderman 3, The Amazing Spiderman, The Amazing Spiderman 2, Spiderman Homecoming, and the upcoming Spiderman Homecoming 2. But hey, at least they gave him an outfit change this time. 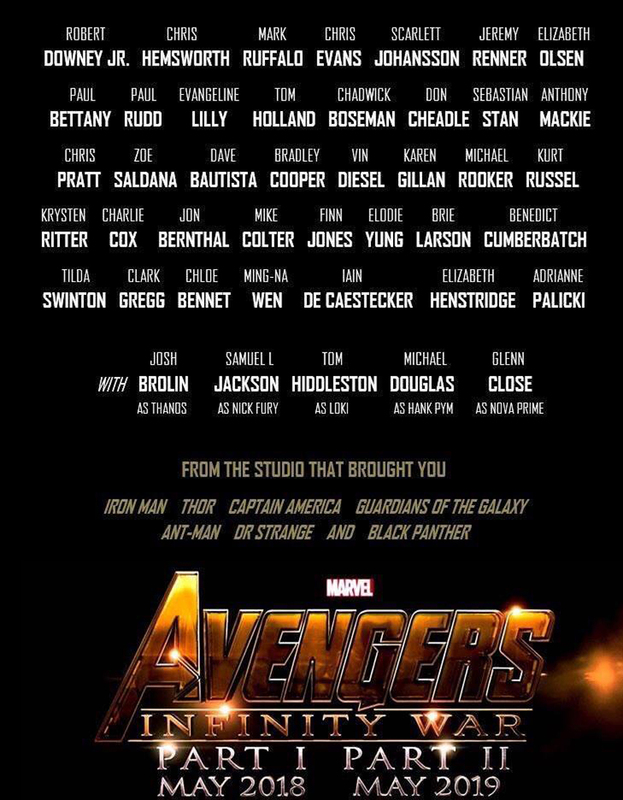 This generic superhero movie has had me on the edge of my seat since it released a poster naming all the best actors in Hollywood almost a year ago. If the trailer is anything to go by, this latest unique superhero movie will live up to all the hype generated by its predecessors by announcing at least four sequels, one of which will be entirely self-contained in the post-credit scene.